(Trinidad Express) A 20-year-old man was stabbed to death by one of his friends on Saturday night during an argument over a pair of Timberland boots. Police said that around 9.30 p.m., Christopher Sarillo of La Mango, Maracas Valley, St Joseph was liming with his friend, also aged 20, of Riverside Road, Curepe when the two got into an argument. Both men were having drinks at the time. Police said that the argument stemmed from Sarillo purchasing a pair of boots for $400 and attempting to sell them to his friend for $600. During the argument the other man grabbed a kitchen knife and stabbed Sarillo once to the chest. 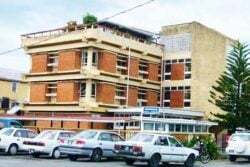 Relatives took Sarillo to the Eric Williams Medical Sciences Complex, Mt Hope where doctors attempted to stabilise him but around 1.40 a.m. he died. The suspect was later taken to the St Joseph Police Station, where he was being questioned last night. Since the State of Emergency began in August another person—a mother of one—was murdered in the Maracas Valley area. Kerensa Pierre-Diamond, 23 of Acono Road, Maracas Valley was bludgeoned to death by her estranged boyfriend, Nigel Castillo, on September 4 at her relatives’ home at Bernard Boulevard, Maracas Gardens. Castillo later drank a poisonous substance. He died at the Eric Williams Medical Sciences Complex. In an unrelated incident, a Belmont man described by the police as mentally unstable was killed during a fight with another man around 4 p.m. yesterday. Police said Christopher Sitney, 40, and another man got into a fight along the Belmont Valley Road during which Sitney was hit several times on the head. As Sitney lay unconscious on the road the other man fled and remained at large up to press time last night. 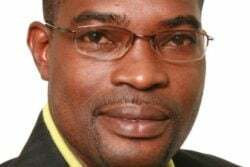 Sitney died on arrival at the Port of Spain General Hospital. The murder toll stood at 281 up to last night.